The Ministry of Environment, Forest & Climate Change (MoEF&CC) has initiated "Prakriti Paryawaran aur Hum" initiative to continue the activities of Swachhata Pakhwada and awareness generation for "Swachhata" (cleanliness), environment conservation and "Measures against Pollution". "Swachhata Hi Seva" (cleanliness is service) campaign is being undertaken from 17 September to 2 October 2017 across the country. As part of this campaign initiatives, The Wildlife Institute of India- ENVIS Centre celebrated Swachhata Pakhwada on 28 September 2017. Shri S.C. Garkoti, Advisor, the representative from MoEF&CC was present in the Institute for the event and conducted a pledge ceremony on this occasion. 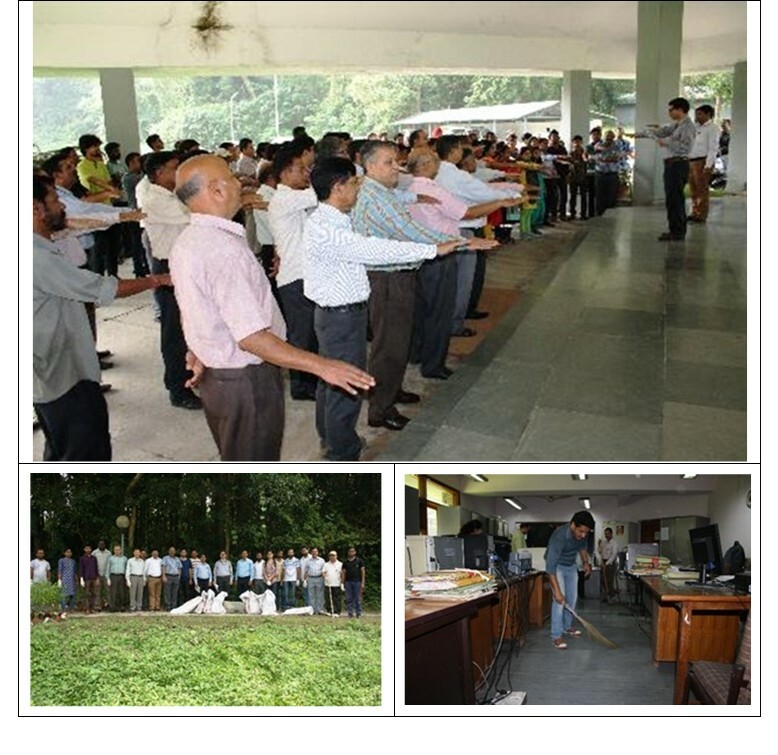 All employees, researchers, students assembled at WII Entrance Foyer for the "Swachh Bharat- Harit Bharat" (Clean India- Green India) "Green Pledge" after which staff, M.Sc. Students and Researchers were divided into different groups and conducted cleaning within the Institute campus, at Nature Trail and near WII lake. All employees cleaned their office rooms and also weeded out theold files and trash. 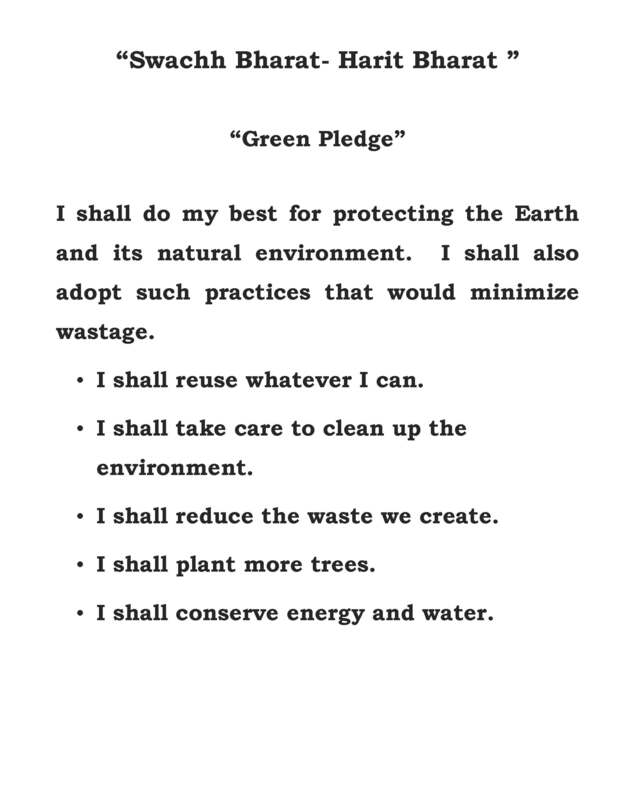 Download pdf of "Swachh Bharat- Harit Bharat" "Green Pledge"